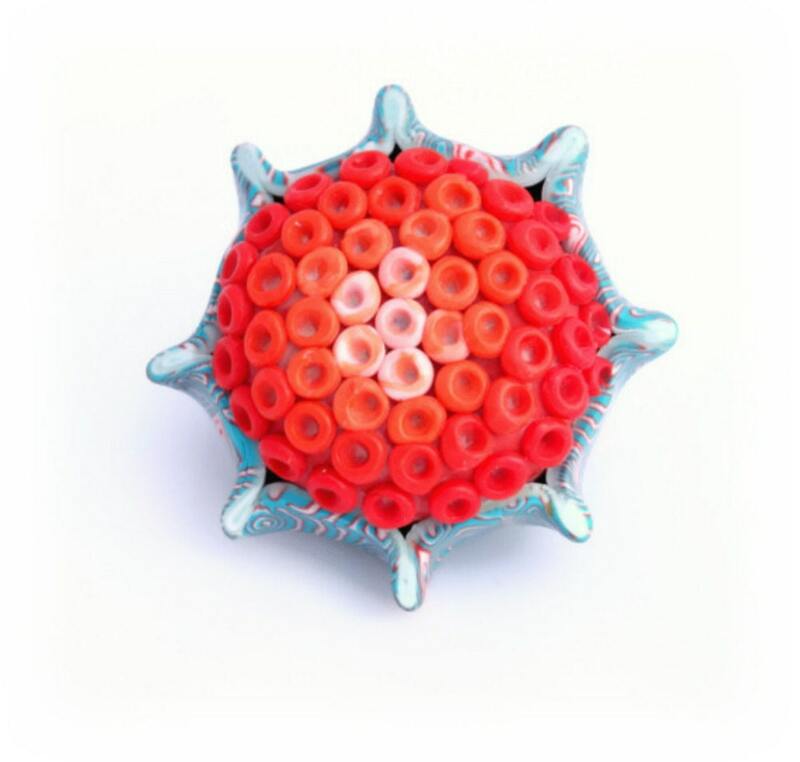 A unique sea urchin brooch hand crafted from polymer clay, created in bright turquoise and orange. The brooch has been varnished to a beautiful finish and completed with a gold plate brooch bar. A truly unique brooch carefully crafted to capture the beauty of a sea urchin with an outer later of bright turquoise and a delicate centre of orange tones. The brooch has been polished, buffed and varnished to a beautiful finish and has been finished with a gold plate brooch bar. Folksy :: Buy "Handmade Lilac Polymer Clay Brooch, Round with Texture"